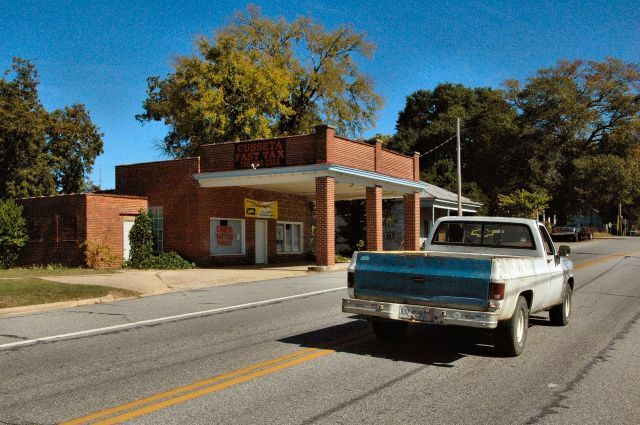 Just a handful of early commercial storefronts remain on Broad Street, which was once the “main drag” in Cusseta. 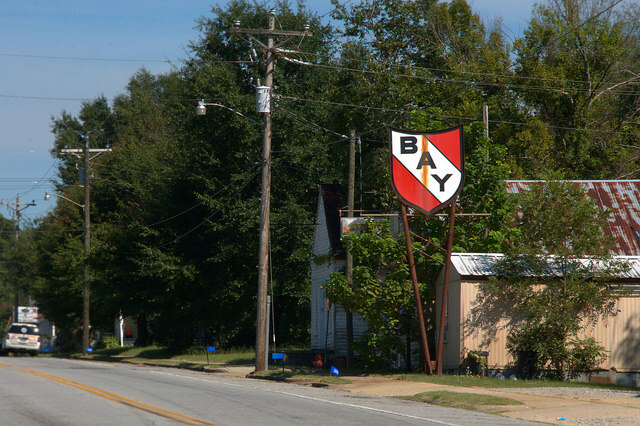 It’s hard to miss this old Bay gas station sign as you pass through Cusseta. 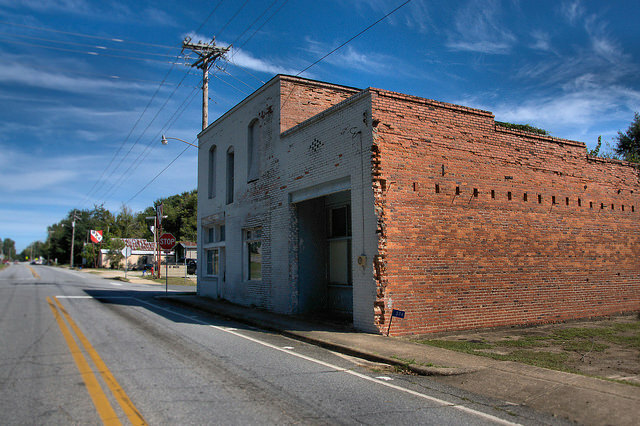 It’s become an unofficial symbol of this little town. 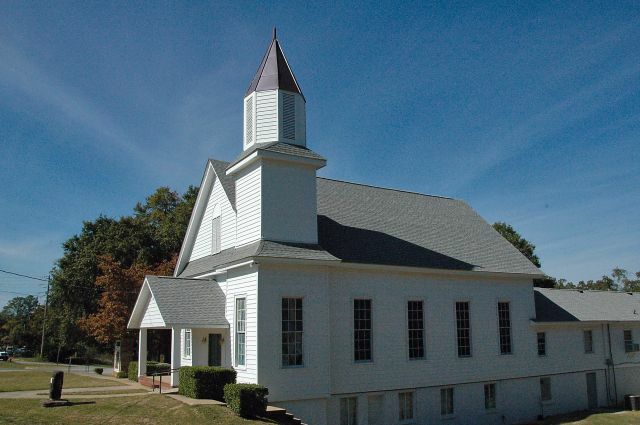 The Methodists were organized at Cussetta before 1851, first meeting in a brush arbor. A permanent structure soon followed and was replaced in 1897. 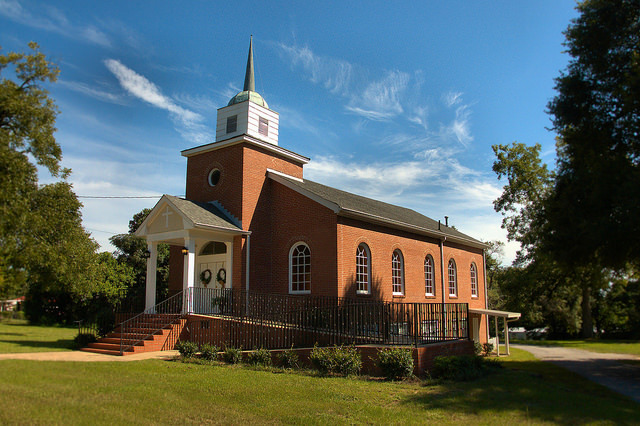 That structure was struck by lightning in 1944 and the present church was built within a couple of years, circa 1946. This jail was constructed to replace an earlier wooden jail. 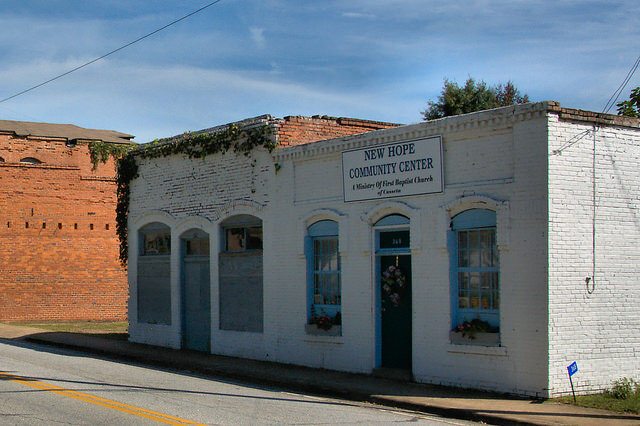 It was used by the county until 1975. 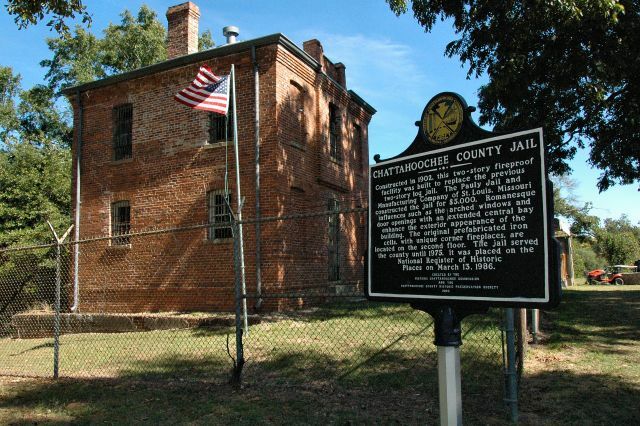 Like many other Georgia jails of the era, it was built by Pauly Jail Manufacturing Company, but unlike most jails it didn’t include a warden’s living quarters or a kitchen area. The congregation dates to 1839, but I’m unsure as to the date of construction of the present church. This modern courthouse was designed by the firm of Biggers, Scarbrough, Neal, Crisp & Clark. It replaced a wooden two-story courthouse that was relocated to Historic Westville. 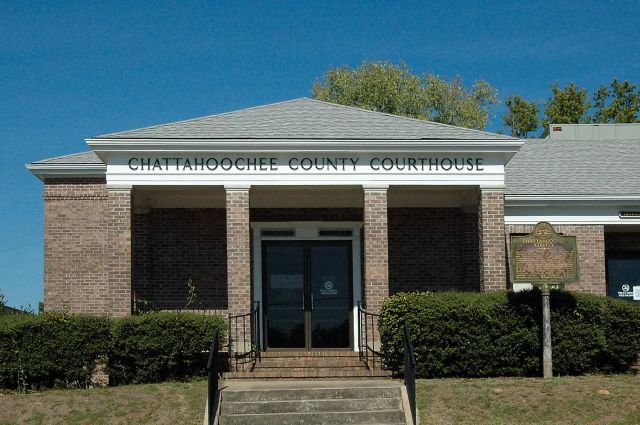 Chattahoochee is one of just a handful of Georgia counties whose courthouse is not listed on the National Register of Historic Places.